When you visit the waterfront community of Hernando Beach you will see why it is considered a true gem of Hernando County. This tight-knit neighborhood has a laid back and relaxed lifestyle on the waterfront. Offering homes with direct access to the Gulf of Mexico, as well as, the Weeki Wachee River. Don’t be fooled by the serene peacefulness, as the busy U.S. Highway-19 is only a ten-minute drive away! 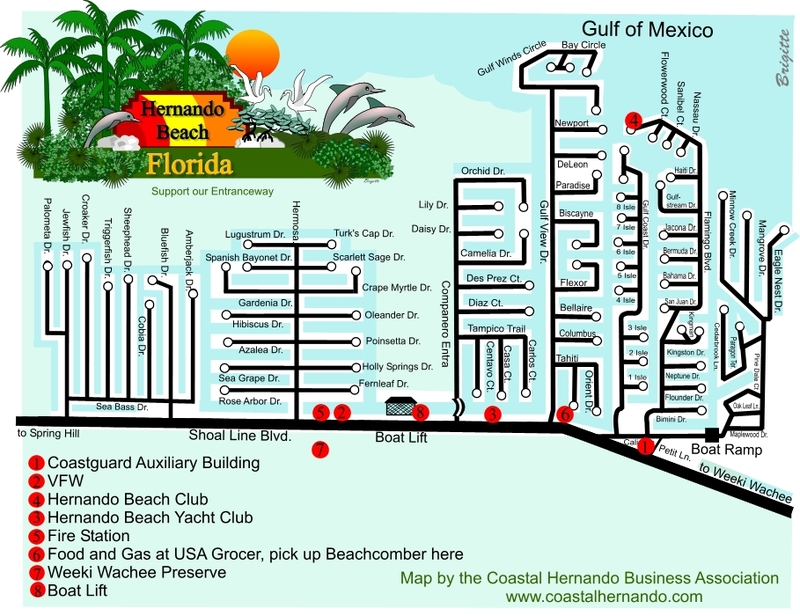 Hernando Beach itself has seen a rapid growth of local businesses and restaurants that include outdoor dining, local establishments that offer live music and several marinas to provide its residents with all of their recreational needs. Custom-built and stilt-homes are dotted along the network of manmade canals in Hernando Beach; all are navigable by boat and open to the deep waters of the Gulf of Mexico. Offering great value for the money, homes in Hernando Beach consist mostly of single-family homes that, compared to other waterfront properties in the Tampa Bay Area, are quite affordable! The location has some of the best and most desirable waterfront living remaining in Florida. The canals are lined with many existing upscale homes that feature waterfront dockage for your boat, kayak, or paddle boards. Hernando Beach offers largely undeveloped beauty with many waterfront home sites that are still available to build your dream home. Follow the man-made channels that lead to the Gulf of Mexico. It’s where the locals like to hang out, soak up the sun, and swim in the warm shallow waters, watching the many dolphins and other wildlife in the area. The shallow coast offers some of the best inshore fishing to include Snook, Redfish, Trout and “World Record” Tarpon in the late springtime. A short boat run into the Gulf of Mexico provides excellent grouper fishing, as well as offshore scalloping. Kayak, canoe, and paddle board right from your backyard, then enjoy some of Hernando County’s favorite local restaurants. Offering a variety of dining experiences, some restaurants will even cook your catch of the day from your boat trip! The Nature Preserve and man-made lakes across from Hernando Beach offer serene hiking trails for bird watching, and bike riding paths for the outdoor or exercise enthusiast. A quick 5-minute drive north takes you to the 135-acre Linda Peterson Park (formally known as Hernando Beach Park) and Jenkins Creek. Both public parks are host to outdoor favorites that include fishing piers, picnic areas, manatee watch zones, and a 40-foot observation tower. There are plenty of areas available for shoreline fishing and photographing the eagles and ospreys that call “Florida’s Adventure Coast” their home.